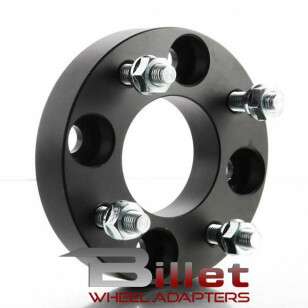 Please give us a call @ (586)806-4348 if you have any questions or need help ordering the right wheel adapter or wheel spacer. Our wheel adapters are crafted from the highest quality 6061 T6 Billet Aluminum, providing you with the highest quality fitment and strength available. Our wheel adapters include pressed in studs and lug nuts to bolt your wheel to the wheel adapter. Check your vehicles manufacturer for proper lug nut thread size and torque specifications. If you have any questions, please contact us for assistance.